Here in our security blog, we would like to inform you of a term which you will run into if you ever are thinking about getting a CCTV camera installed. 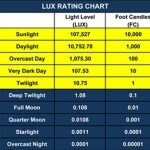 What we are speaking of is something called Lux rating. This rating is a measurement of the cameras ability to catch images under different light conditions. 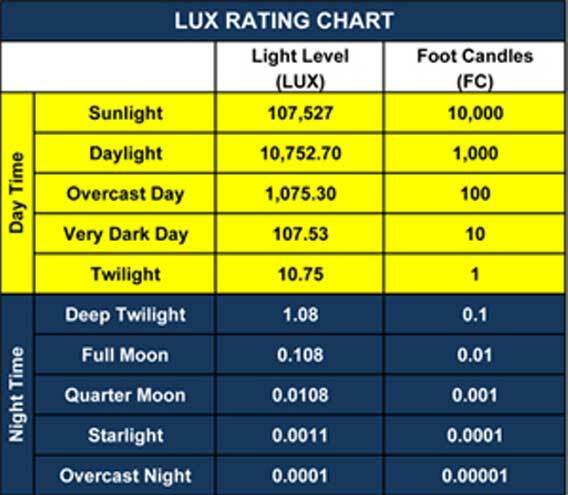 As an easy example, if you place a candle about 1 foot from any type of object, the Lux rating refers to the illumination of the object, and would at this distance be around 10 Lux. When choosing a camera for your own surveillance, it’s of course important that the camera is suited to your situation, and the type of light conditions that can be found at the area of recording. As the quality of the image, and with it the usability of the footage taken should an incident occur, is depending of the amount of light the camera is taking in. 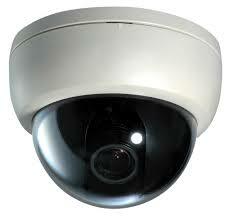 The highest recommendation would be a camera with as low a lux rating as is suitable. However, there is also the option to get a camera with an infrared mode, where you can record night time with clarity under poor light conditions. These cameras of course come at a higher rate, but there are many benefits and it may be a good option for some of the areas you need to cover. A coloured camera rather than a black and white one will also contain more information such as colour of skin, hair, and help you distinguish details. Should you have any questions at all with regards to CCTV cameras, security surveillance and alike please get in touch today.